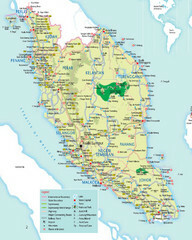 Map of Malaysia. 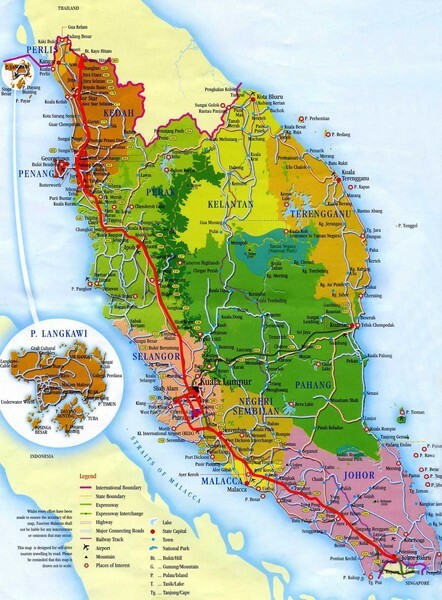 Shows states of Malaysia, expressways, highways, railways, airports, mountains, places of interest, lakes, state capitals, towns, and national parks. 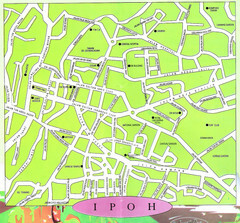 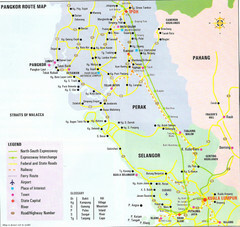 Inset map of Pulau Langkawi. 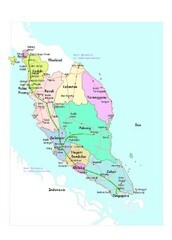 Detailed map of Peninsular Malaysia showing main highways,railways, cities and places of interest.